I know you must have wondered about those bird bath (or radar dish) hats also. I can't possibly be the only one. So, does anyone know their beginnings? Did they really originate as a personal water catching device after some past drought, and later got filled in with tinfoil and fabric? And are they expected to get even bigger/taller with time? 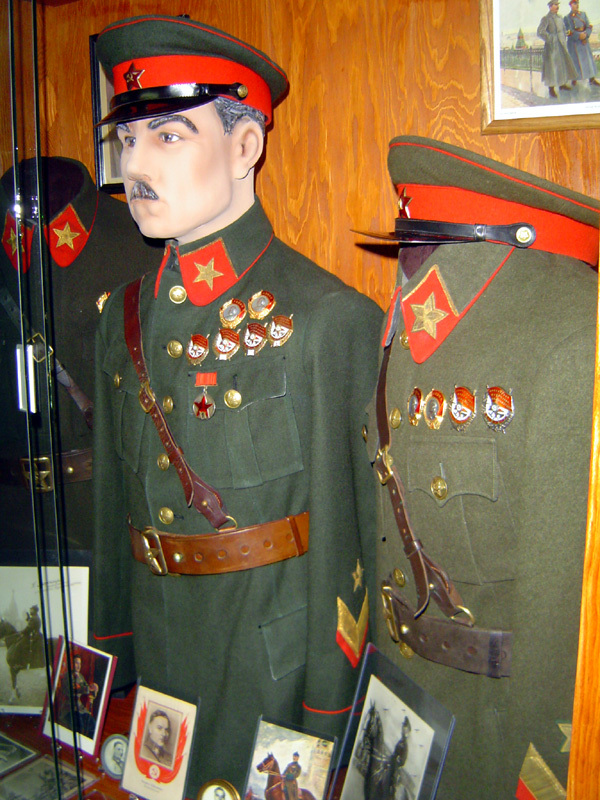 The hats are derived from the Soviet's uniform hats. The girls love them… Makes you look like a man of power. 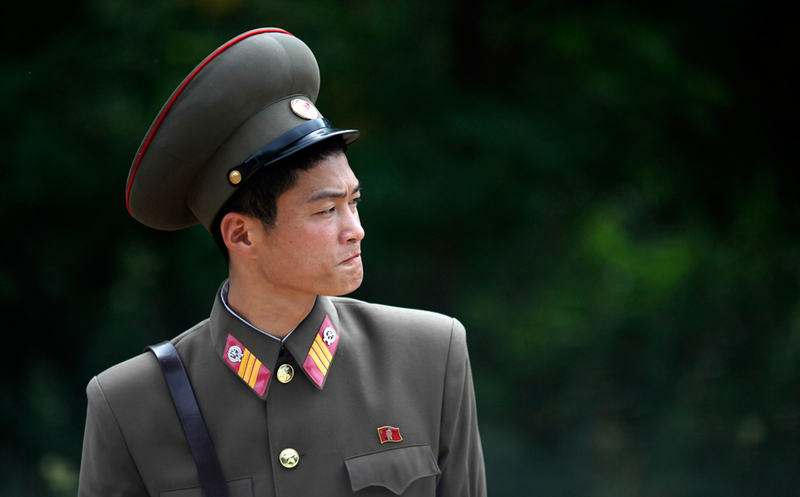 Shakos and busbies are far more practical. 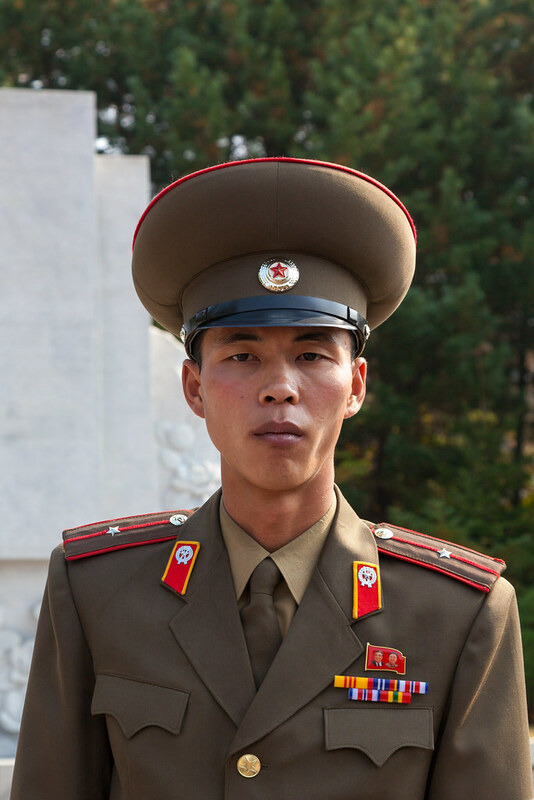 SBMinisguy: The hats are derived from the Soviet's uniform hats."" Lol. If that's the case, then it looks as though they might have initially started with those, but then went and overstuffed them beyond what one would think was humanly possible. 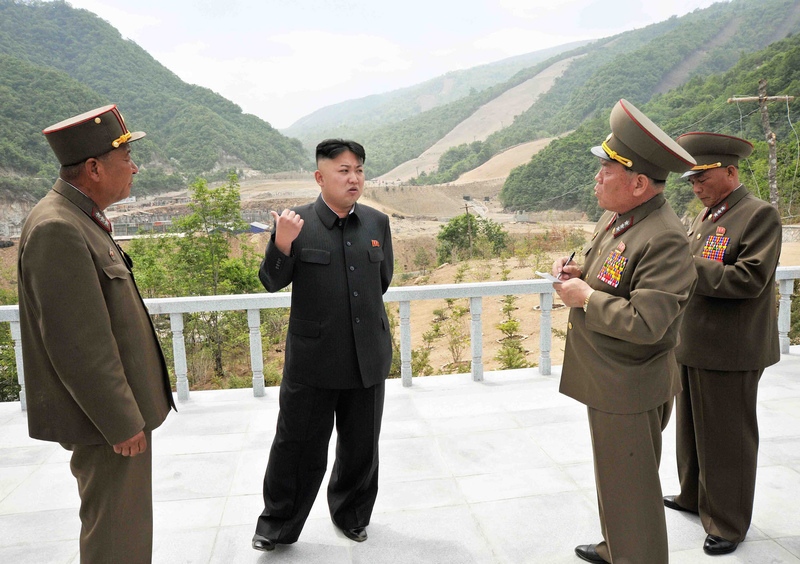 Makes the little guys look taller and gives them someplace to hang additional medals when the pant legs are full. Also serves as a personal umbrella and sun shade. Uh-oh. It was just reported that kim jung wacko has personally targeted one of their new icbm's at Cacique Caribe for dissing him. They are designed to make people look and feel taller and more menacing. 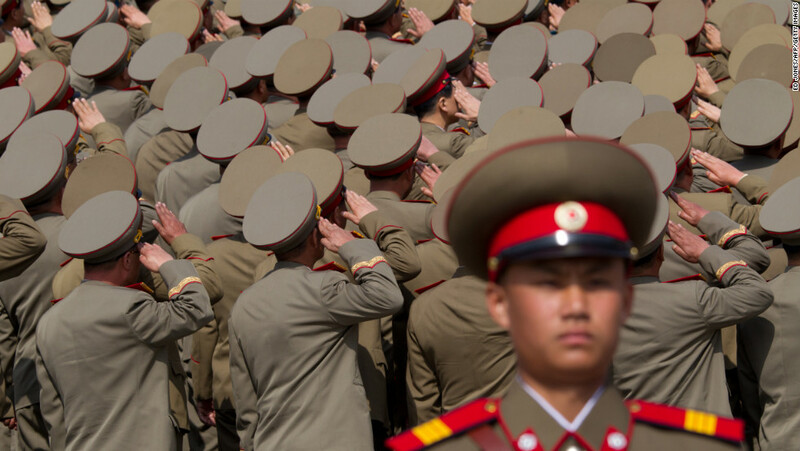 Amazing number of awards on these clowns seeing as the NorKs haven't really been shot at on any great scale since the early 50s. Dave (StoneMtnMinis): "Uh-oh. 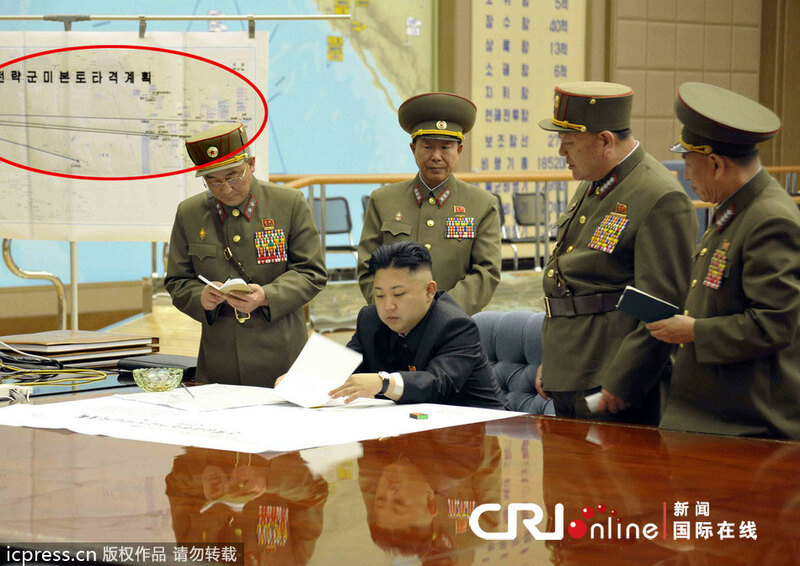 It was just reported that kim jung wacko has personally targeted one of their new icbm's at Cacique Caribe for dissing him." Dave, did I ever tell you of how excited Lil Kim got when he saw the movie Ant-Man, and how he is now working on a plan to miniaturize his entire population, making them just a little bit smaller each year? 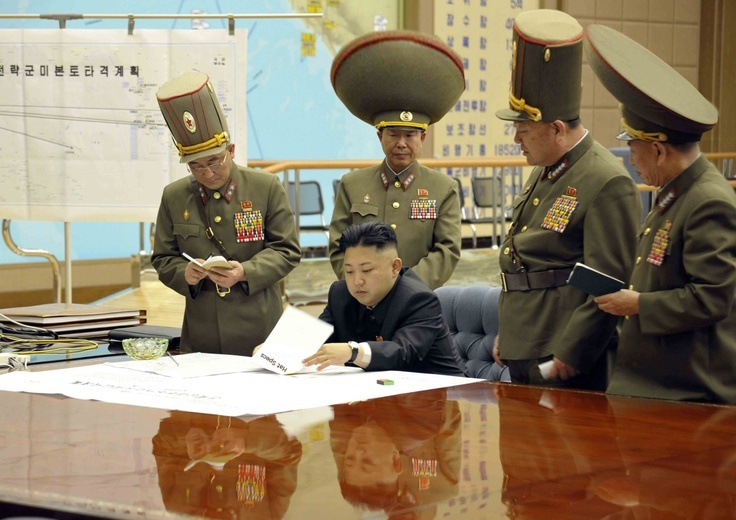 Kim's dad played 3rd edition Chaos Dwarves and fell in love with the Big Hats, vowing to make it a reality during his reign. Dan, it was in a top secret decoded message from Pyongyang to GW HQ in the 80's. It just got declassified along with another message requesting Big Hat champions to have medals added to their tunic. Lol. What about the high heels we see on the female troops in their military parades? Was that also in the comunique? That was a byproduct of a combination of two events. Fashion Week 1965 and Nancy Sinatra's "These Boots Were Made for Walkin'" topping the charts in January 1966. Soon thereafter these new military "fashions" appeared. I just want to know what great battles these obviously superior Generals have been in! So much awards! So much great! Well, they get a medal for every 3 years of their life. Being as old as they are, that's a lot of chest bling! Battles…what battles? 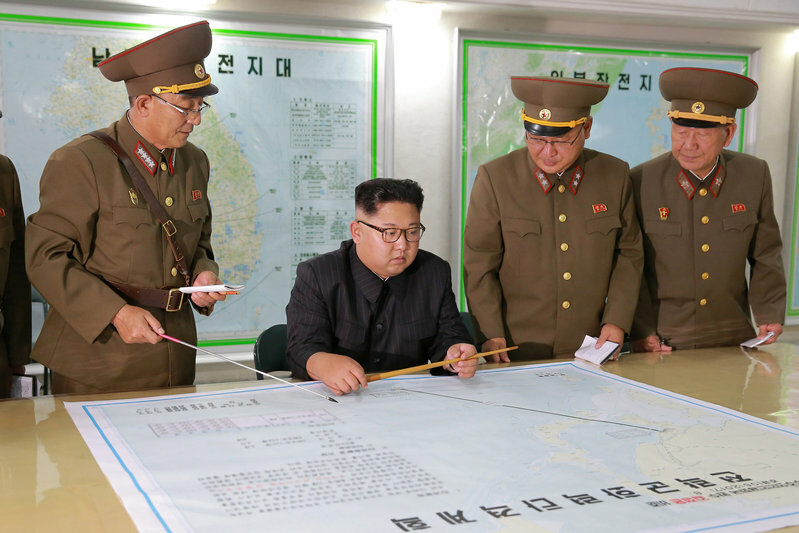 They were probably all drivers for the previous Kim Jong whatevers. I've seen plenty of pictures of US officers and personnel wearing chestfuls of ribbons – 30 odd sometimes. It's amazing what you can accumulate during a lifetime in the military. 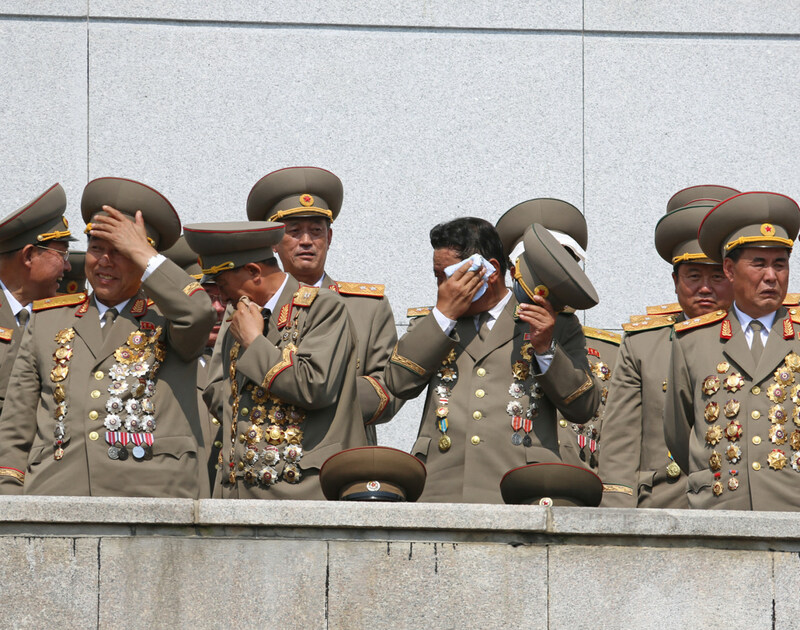 I mean the guy on the right in the foreground 'only' has 38 medals. Geesh, I could play the drums on these hats!